"An important book. Following its advice can free readers from the chains of self-criticism and replace them with the wings of self-encouragement." "Brilliant Self-compassion is a revolutionary new idea...with profound implications for how to live our lives." Kristin Neff, Ph.D., says that it's time to "stop beating yourself up and leave insecurity behind." 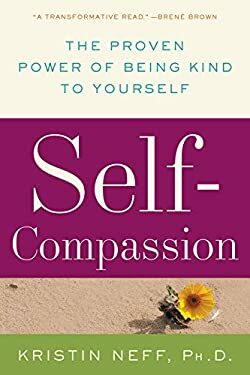 Self-Compassion offers expert advice on how to limit self-criticism and offset its negative effects, enabling you to achieve your highest potential and a more contented, fulfilled life. More and more, psychologists are turning away from an emphasis on self-esteem and moving toward self-compassion in the treatment of their patients--and Dr. Neff's extraordinary book offers exercises and action plans for dealing with every emotionally debilitating struggle, be it parenting, weight loss, or any of the numerous trials of everyday living.